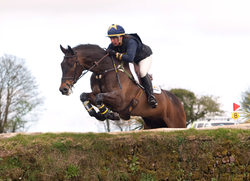 Ballindenisk is an equestrian competition venue in Watergrasshill Co. Cork, Ireland and the home of the Fell family. Catering for all levels and all types of equestrian competitions, specialising in Eventing. Horse Trials or ‘Eventing’ as it is also known, has its roots in the Military and dates back to the early part of the 20th century when the competition was developed to reflect the varied roles of the cavalry horse and provide a challenge for the horse and rider during the times of peace. The first competition staged at Ballindenisk was in 1926, when the first Point to Point was run across the banks, the main avenue crossing still uses one of these beautiful old Irish racing banks. Eventing first started at Ballindenisk in 1974 under the guidance of Norman van de Vater, International Events run twice a year, in April and September.